Offers immediate assistance to customers by helping them in identifying problems and promptly finding remedies. It represents one of the best way to invest pre- and after-sale to reduce costs of transfer, intervention and movement of technicians, improving maintenance personnel skills. An high connection speed Internet connection is required in order to activate TeleService. Essentially, TeleService is a fast remote intervention of a specialist in order to reduce the causes of stop and the stops whenever there will be the necessity to detect the failure for bad electrical working or to automation systems; The Remote Control does not require the installation of a software. The Customer screen appears in a window of the Danieli Automation technician, that has full control of the applications. Anyway for safety reason, at any time the customer is able to stop the intervention and take control back of his own pc. For all eventualities, every assistance session is registered on files and it could be used to verify the correct execution of the operation. NTRsupport is an online Customer Support platform. It does not require any previous installation or configuration in the computers of the service customers. The application is used via the web and can be accessed by any user with an Internet browser and Internet connection. The use of the HTTP protocol allows NTRsupport to be independent of the operating system, and to be integrated in any platform. 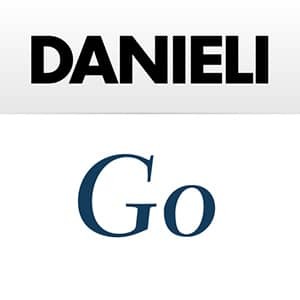 Communication between Danieli and Customer is always encrypted, being decrypted in the moment when it is requested. Teleservice technology is based on new EWON remote support, a remote assistance module for industrial technical support, realized for direct communication to equipment and plant monitoring. All automation system can be supported by TeleService, as HMI/OWS interface units, PLC systems, Level 2 process control systems and Level 3 manufacturing execution system.